Minta Instrumentation was established in 1976 and continue to lead the way in Aerospace Temperature Sensors under the control of BSENISO9001: 2000, Nadcap and Rolls Royce 9000 Sabre. 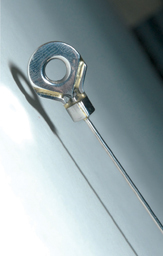 Minta Instrumentation was established in 1976 and with over 40 years of experience, have continued to lead the way in Aerospace Temperature Sensors. Minta design and manufacture high specification and reliable temperature sensors for Aero Engine Testing under the control of BSEN ISO9001:2015, Nadcap Accreditation and Rolls Royce 9000 Sabre. Minta offer a high standard of quality and excellent service. We also offer expert technical advice and assistance at the design stage on effective solutions for temperature measurement applications where high reliability is required. Our interest in our products extends throughout their working life. We welcome comments on all of our products and use this customer feedback as a basis for continuous improvement.